By the time Conor McGregor challenges Khabib Nurmagomedov for the UFC's lightweight title Saturday, it will have been 693 days since MMA's biggest star last graced the Octagon. McGregor's UFC 229 appearance at Las Vegas' T-Mobile Arena will do more than end a strange sabbatical, which saw him become a bona fide mainstream celebrity while he displayed increasingly erratic behavior. It may also begin the final act of his remarkable fighting career. As usual, only McGregor knows what that last chapter will look like. But with a new six-bout deal in hand, the former two-division champion looks like he'll stick around for a bit. After McGregor earned an estimated $99 million in 2017—owing largely to his August boxing match with Floyd Mayweather Jr.—it's difficult to know what his priorities will be upon his UFC return. We know he loves money and will continue to earn as much of it as he can, but the usually bombastic Irishman has also begun to talk about his legacy in recent weeks. "I don't have to fight for money no more, thank the lord," McGregor said at the Sept. 20 pre-fight press conference (warning: contains NSFW language) for UFC 229. "... I don't have to be here. I'm set for life. I'm sorted now. I'm here to enjoy this. I'm here because I love it." This echoed statements McGregor made around the Mayweather bout. He hinted that once his family's financial future was secure, he'd think about how he'd be remembered. "This is legacy," McGregor said during his media day (warning: contains NSFW language) in August 2017. "This is people doubting me, questioning my skill set. ... I've been fighting since day one, and I'm the best there is. I can fight in many forms. We're going to prove this. This here is Bruce Lee s--t."
At the time, it was easy to brush this off as the usual McGregor bluster. By taking the Nurmagomedov fight, however, he's perhaps showing he's serious about chasing more than just huge paydays. For his first UFC bout in nearly two years, McGregor could have signed up for an easier test. He could have pushed for a one-off cash grab in the form of a third fight against Nate Diaz. He even could have held out for a shoot-the-moon superfight with Georges St-Pierre. Instead, he chose what might be his most difficult stylistic matchup on the UFC roster. Nurmagomedov's relentless grappling and top control will provide a unique threat to a stand-up-oriented fighter such as McGregor. Considering the Irishman's long layoff, it shapes up as a difficult challenge, and Nurmagomedov is the slight favorite, according to OddsShark. But Nurmagomedov has something McGregor wants: the lightweight title the UFC stripped from him because of inactivity following his historic championship victory over Eddie Alvarez in November 2016. Granted, because of their personal animosity—and the footage of McGregor's April attack on a charter bus full of UFC athletes in his attempt to confront Nurmagomedov—they'll likely do huge business on pay-per-view. Yet for the first time in a long time, it feels like McGregor is motivated by reasons that have nothing to do with money. There was Nurmagomedov's altercation with McGregor's teammate, Artem Lobov, in a hotel hallway, which led the former two-division champion to toss a metal hand truck through the window of that bus. There is also the notion that McGregor never lost his 155-pound title. 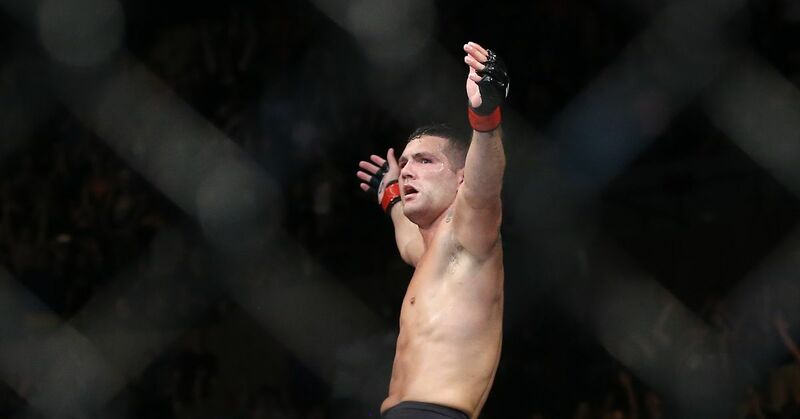 Reclaiming the championship is a necessary first step if he means to reassert himself as not only the UFC's biggest drawing card but also one of its fiercest competitors. Nurmagomedov is an astonishing 26-0. If McGregor becomes the first man to beat him—and if he can do it in highlight-reel fashion—it could represent just as big a milestone as his 13-second KO of Jose Aldo at UFC 194 or his win over Alvarez at UFC 205. That means the stakes for McGregor are higher than just the title and the chance to unload another dumpster full of cash into his bank account. This is about becoming the world's best 155-pound fighter once again and showing he can be just as accomplished inside the cage as he is at building a brand and doing PR. Dare we say this fight seems more about McGregor's place in history than anything else. Indeed, a lot has changed in his life since the last time he fought in the UFC. At this stage of life, it makes sense McGregor would think about leaving a lasting imprint on the sport he took by storm when he arrived in the UFC in 2013. What he does during his next handful of fights will go a long way toward solidifying that image. Even the most bullish analysts don't think McGregor will still be in the UFC a half-dozen fights from now. It's possible he only has a few bouts left before he transitions to a new phase of his professional life—whether it be as a full-time fight promoter or a maniacal purveyor of whiskey and high-end men's clothes. That makes the Nurmagomedov bout a pivotal moment for him. Win or lose, he'll still have good options. Completing the Diaz trilogy will always be viable. If St-Pierre can recover from ulcerative colitis, a meeting with McGregor may well break all previous UFC box office records. But if McGregor is serious about being remembered as an all-time great fighter—not just an all-time great showman—beating Nurmagomedov would be a good next step.